Paint Parties Galore | "A Place for Learning"
Yesterday I had two Paint Parties back to back. First, we had Pet Portraits – my favorite party! 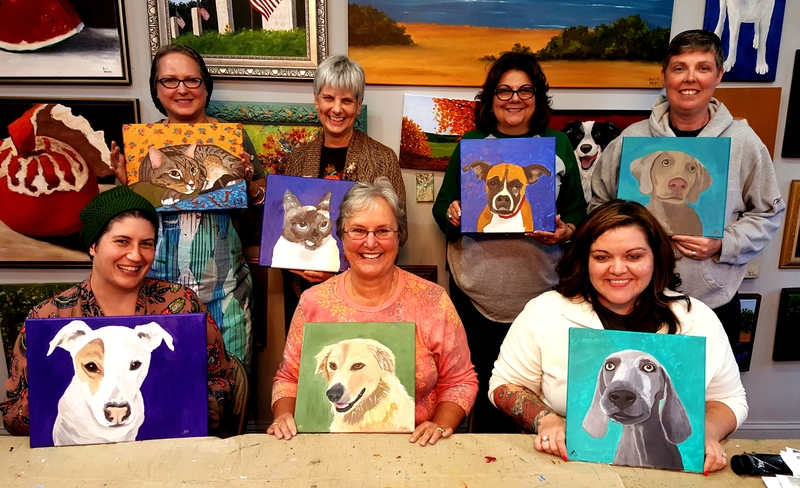 Everyone did beautiful work and have fabulous portraits of their beloved pets now. The second party was a large group of friends getting together for a fun time and to catch up. They painted a lovely fall landscape scene.